The combined Russian-separatist forces attacked Ukrainian army positions in eastern Ukraine 45 times in the past 24 hours, using grenade launchers in most cases, the press center of the Anti-Terrorist Operation (ATO) wrote on Facebook early on Wednesday. 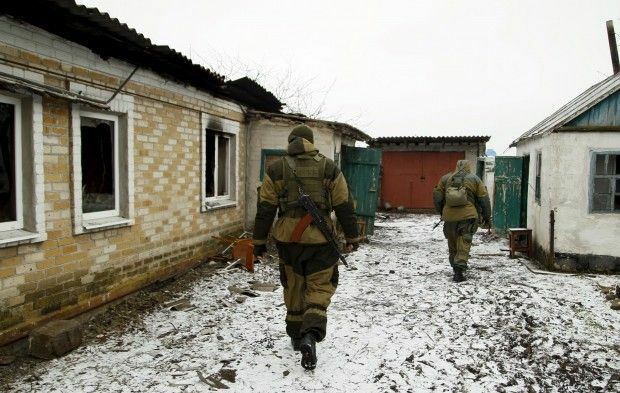 "The situation remained tense in the suburbs of Donetsk where the occupiers used rocket-propelled grenades and heavy machine guns to shell our positions in the villages of Pisky, Opytne, and the town of Avdiyivka," the ATO press center said. The enemy also used grenade launchers of various systems and small arms to shell the Ukrainian fortified positions near the town of Maryinka. "The militants from the temporarily occupied town of Horlivka fired mortars and grenade launchers on our fortified positions in the villages of Zaitseve and Mayorsk," the report added. "In the Mariupol sector, the Russian-backed mercenaries intensified near the villages of Talakivka and Shyrokyne, where our positions were attacked with mortar shells. The enemy also fired grenade launchers and small arms there," the press center said.